The high cost of sub-prime borrowing is now causing mortgage default to rapidly spread across the metropolitan area. 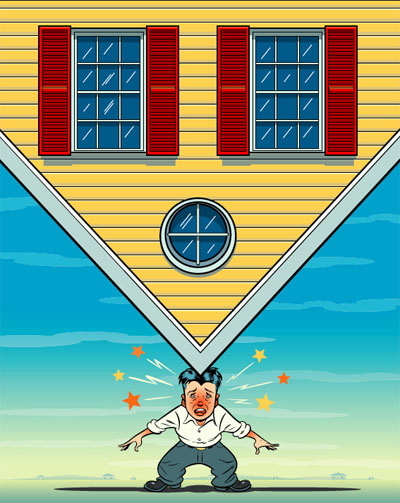 Most sub-prime mortgages contain adjustable rate provisions that are now causing the mortgages to be unaffordable. Several years ago, once-blighted neighborhoods became gentrified when sub-prime mortgage funds easily flowed in. Now, however, the tide has turned, and these areas are suffering an epidemic of default, as homeowners simply cannot afford to pay their mortgages. Now, thousands of homeowners stand to lose lifetimes of savings as well as their homes. Data shows that Long Island’s housing problems appear to be worsening. Long Island’s foreclosure rate is 3.7 percent, with at least 31,000 homes in some stage of foreclosure during the period 2005 through 2008. This is higher than the 3.3 percent rate for the tri-state region. Additional data shows that more than 6 percent of Long Island mortgages are 90 days or more past due, which is substantially greater than the 3.5 percent amount for the same period last year. Certain communities had the greatest level of default: In Nassau County there was Hempstead, Freeport, Uniondale and Roosevelt. In Suffolk County there was Brentwood, Central Islip, Wyandanch, Islandia and Mastic Beach. Suffolk County had the most foreclosure activity. Now huge swaths of Suffolk are experiencing mortgage defaults, mostly the blue-collar communities of Shirley, Mastic and Ridge west to Centereach and Ronkonkoma. In addition, the rates more than tripled in the area around Central Islip and Brentwood, and the foreclosure problem has also spread south into Bay Shore. Many of these homes are “under water” and no longer have any equity. The homeowner owes the mortgage company more than the home is worth. The article quoted my friend, Garden City Bankruptcy Attorney Roy J. Lester, who said that while it might appear noble to go down fighting to save a house, people should make sure that it is worth saving. My office has been especially busy the past year helping Long Island homeowners litigate and defend mortgage foreclosure proceedings and filing Chapter 13 bankruptcy to stop foreclosure. When a homeowner is in trouble, the best thing he or she can possibly do is meet with bankruptcy attorney and mortgage foreclosure defense lawyer. Making decisions about whether a house should be saved are best done after consulting with legal counsel.